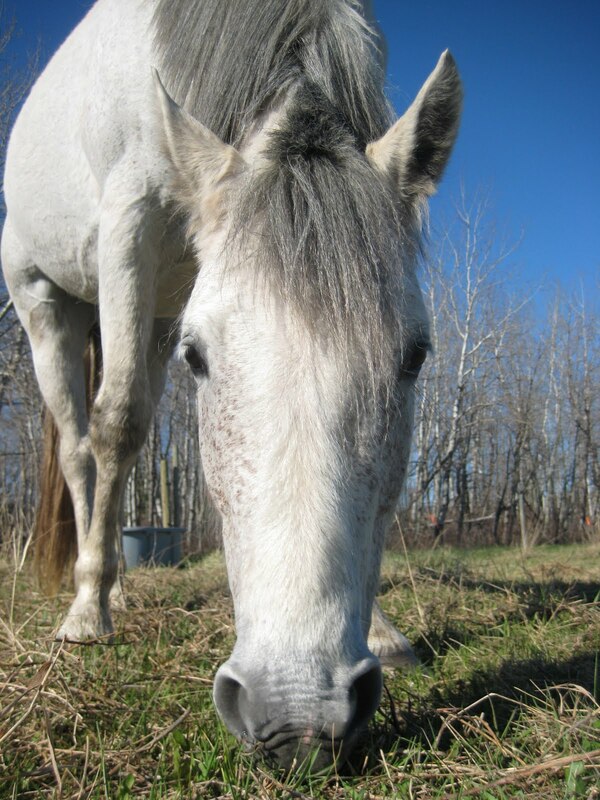 Yesterday some people from Pembina Valley Bible Camp came to pick up my horse, Zaiyah. I tried to sell her all last year and didn't get much interest, so I decided it was best if I donated her to a camp where she would get lots of attention. She was a very sweet horse and loved spending time with me. But I only rode her twice last year, and she needs more attention than that. And it is not very financially smart to pay all that money to keep a horse that I never really use. We offered for them to take Chai too, but they thought he was too old because they have lots of up and down trails. That is fine with me. I am happy to keep him. What a great thing to do for the camp!! I'm sure Zaiyah will have a very good home!